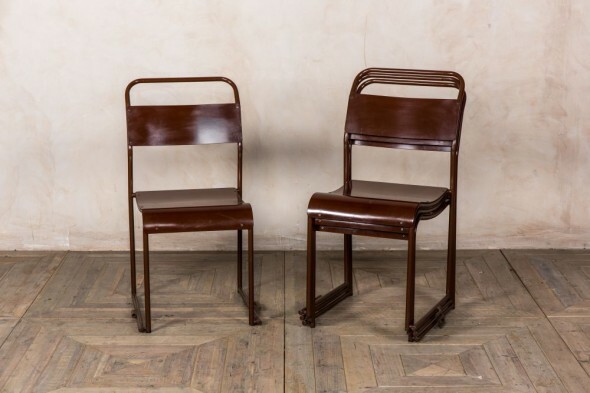 Add these stackable conference room chairs to your interior for bold seating that is sure to be a talking point! 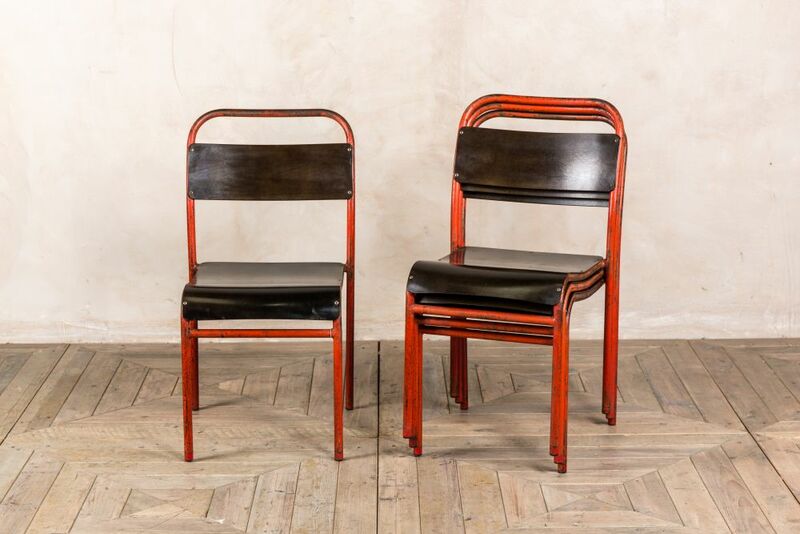 These fantastic chairs feature dark brown Bakelite seats and backrests, and bright red frames. Some of the red paintwork has worn over the years, giving the chairs an industrial edge. 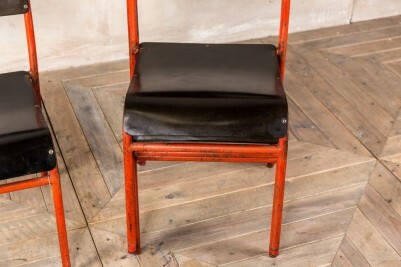 Due to their convenient stacking function, the chairs are useful for conference halls, canteen areas and other eateries. 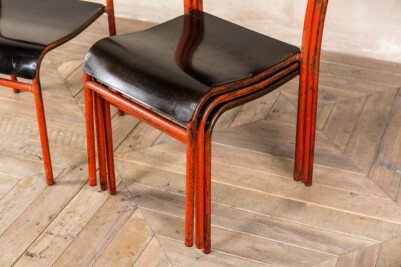 They can be stacked and stored when not in use, or simply stacked at the end of the day to clean the floors. 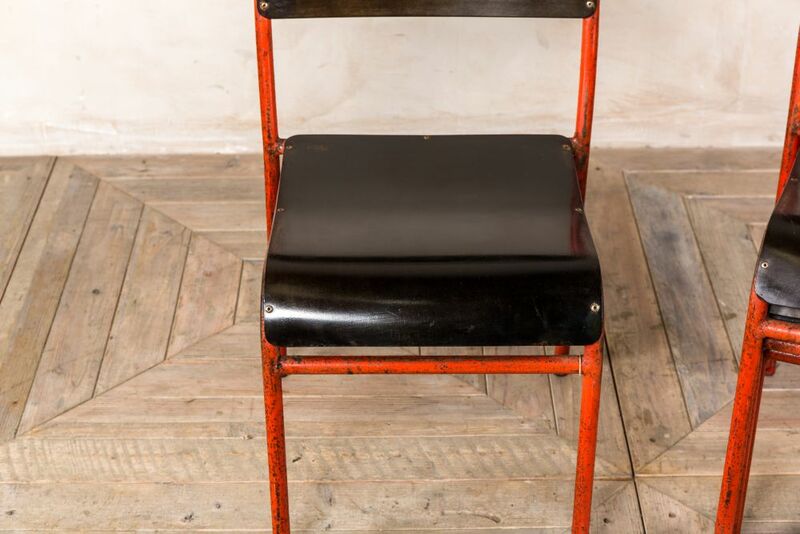 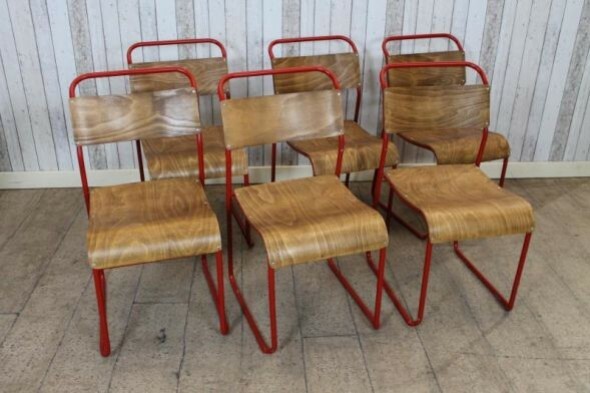 These chairs are quite an unusual find and would look great in a retro or industrial style interior. 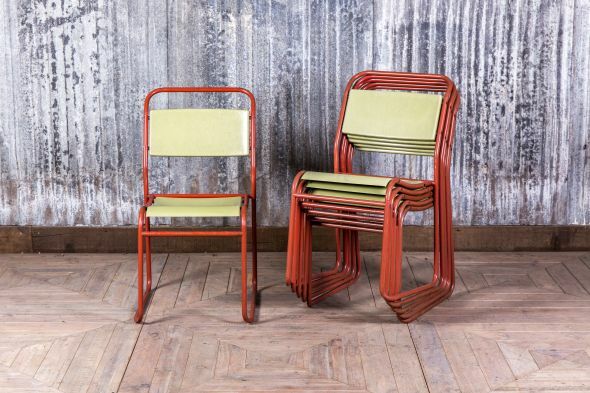 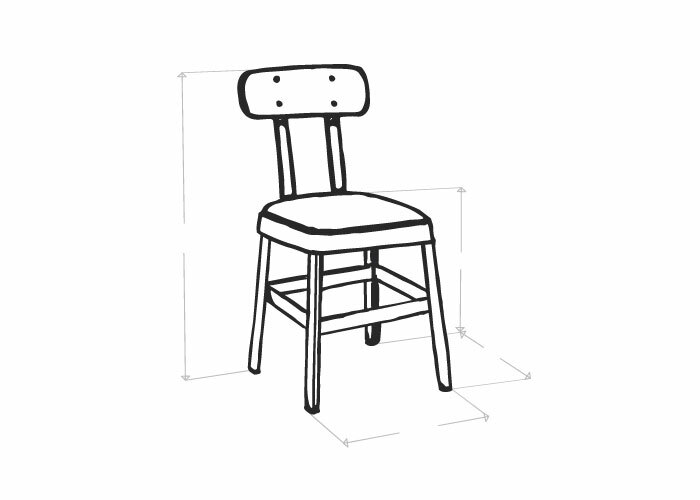 As an alternative to commercial use, they could be used in a home as quirky dining chairs. 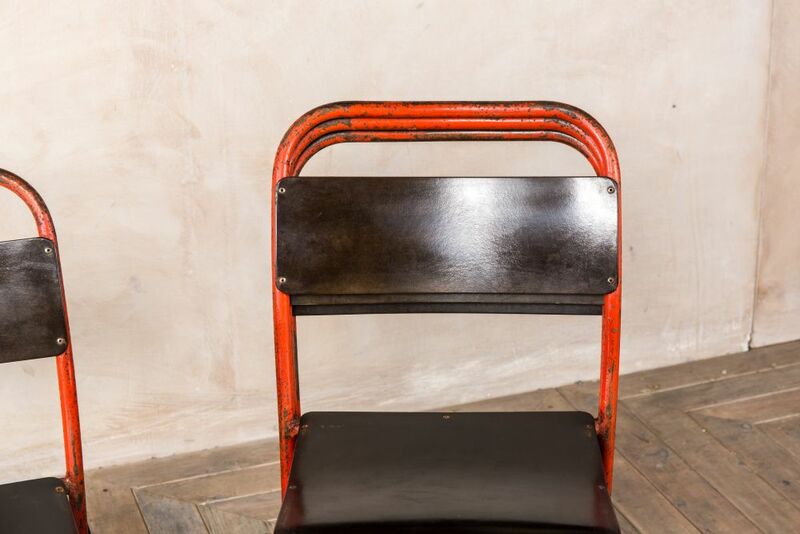 As these stackable conference room chairs are original vintage items, please allow for some signs of wear and tear. We feel that these characteristics only add to the chairs’ retro charm.